If not I hope these images from our yearly family Christmas shoot with the lovely Nestling ladies will inspire you! Our Christmas will be far from the snowy Christmas of the north. Oh how I wish for markets in festive squares, twinkling lit streets with wreath decked doors,and medieval churches with angelic choirs. I made a gingerbread village and gingerbread ornaments, and a gingerbread biscuit wreath. We sipped iced mulled cider, and I made the most delicious ( even if I say so myself ) one bowl Gingerbread Cake with a lemon and cream cheese icing. It was such a fun afternoon, and just the escape I needed from the silly -season rush and pressure. 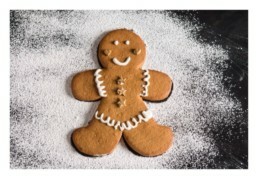 The recipe for the gingerbread is here , it’s the same recipe I use every year for the houses and the ornaments. I tried a store bought mixture for the trees and I was so disappointed. 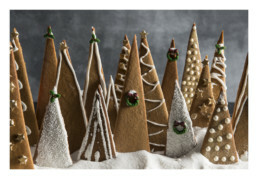 I used my recipe for everything on the gingerbread village, the wreath and all the biscuits in the images below. I will post the recipe for the one bowl ginger cake in a separate post. Its a fabulous recipe, it is quick, and the best part, only uses one bowl. Because seriously who has time for all that washing up and faffing with whisking egg whites, and folding in ingredients, in separate bowls when there is fun to be had! *disclaimer* there are a lot of photos, because I just couldn’t choose which to post .